If you’re wondering whether it’s time to retire your old automatic floor scrubber, then you should look for signs that it’s no longer in good working condition. One indication is its inability to fully clean. A scrubber is meant to remove filth and polish surfaces, but if the floors remain dirty or filmy after a cleaning session, then the machine may be dysfunctional. You can also tell that you need a new scrubber if the janitors take too long cleaning the floors. Because the machines are no longer functioning properly, the janitors may have to do several cleaning rounds to make the floors shiny again. This wastes time, energy, and expenses, which can be addressed by replacing the old equipment. Being aware of these signs will help you improve the maintenance of your establishment. Once you notice any of these signals, start shopping for new equipment. Once you procure a new machine, your staff should know how to take care of it to extend its service life and avoid technical problems. You can study the owner’s manual that comes with the equipment or ask the manufacturer for best maintenance tips based on the type of scrubber you buy. Regular inspections, combined with maintenance, can lengthen the new scrubber’s life. This will allow your staff to spot problems early on, enabling them to fix problems before they worsen. 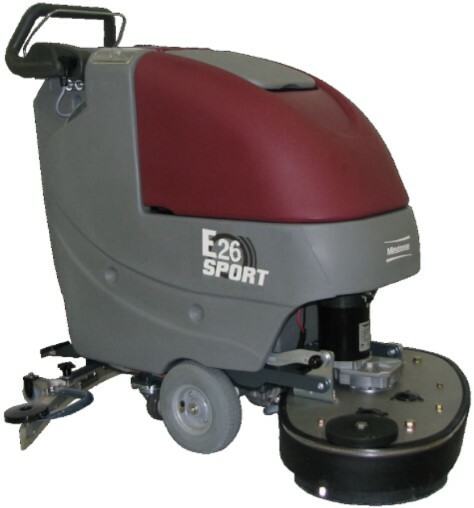 There’s a range of newer commercial floor-cleaning machines in today’s market that are highly advanced and environmentally friendly. These should be enough to convince you that it is time to part with the old and bring in the new, especially if you want to keep your facilities accommodating and conducive to working. This will save you money in the long run and prevent the unneeded expense of repairing defunct machines.